Modern Recording Studio Exclusively For Quality Music Production. Studio Walk The Line is a professional recording studio owned by Muse Fresco Production. Muse Fresco Production is the music production company / labels working in the markets in America, Europe, and some other areas. The production claims its mission is to make available the best music in the business. With professional features under the hood: great sound proof, a good-sounding live room with a great DW drum kit, abundant quality power supply, perfect wiring w/Cat6 LAN running in every room., Studio Walk The Line will dedicate to making music durable for timeless listening. Studio Walk the Line opens services to public. Now accepting reservations! Although Studio Walk The Line is a recording studio established for the duties for Muse fresco Production, the Studio will open its services to outside musicians and music industry professionals. Especially for serious musicians in need of a professional live recording quality (to record their performance etc.) and American studio quality in the vicinity, Studio Walk The Line would be indispensable. Also for English speaking musicians who are looking for a comfy, flexible pro recording studio operated by English speaking engineers, Studio Walk The Line is a definitive choice in the area. 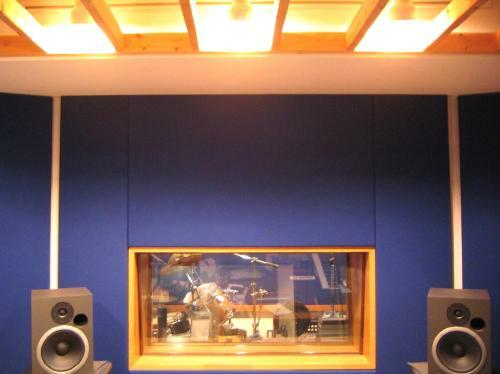 To make the studio available for talented young musicians, we set the rates very reasonable. For details, go to "Studio Features". Now e-mail us to reserve your sessions! First, please e-mail us for availability. Availability is limited, so if you are in a rush, I suggest you contact us as soon as possible! As the studio serves its own production at first, availability can be limited. We may choose projects for our own reasons.